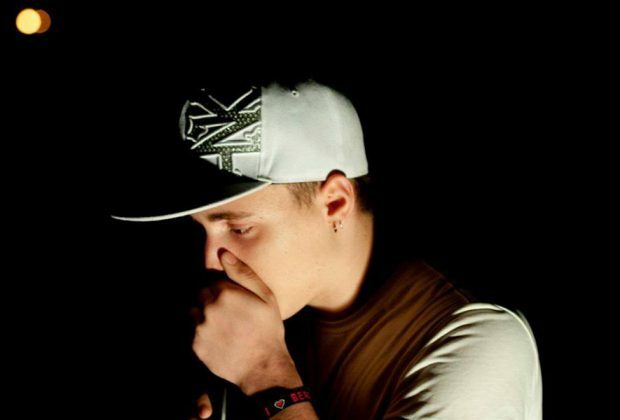 Gino Aliaj aka Gno Beatboxer originally from Albania, born in Germany and currently living in Greece. Starting from a very young age, Gino had a big passion for music, and it was one of his favorite subjects too in primary and secondary school. It all started just as a game at school, doing funny sounds with his friend, which became a habit after some time. Whenever he was listening to music he tried to mimic the different sounds and rhythms with his mouth… That time he didn’t even know that it was an existing art form and that it was called “Human Beatbox”. As much as he liked and enjoyed it, it was all just a game to him. Some years later, in 2007 precisely, as he was watching “Das Supertalent” on TV (“Das Supertalent” was the name of a famous Talent Show in Germany), he saw 2 Beatboxers that had taken part on that talent show, Alberto & Robeat. Everything change from that day on, understanding that “Beatbox” isn’t just about funny sounds, but that it can be also made to create a real show or music with it. Starting from that day he became more obsessed with it, and started digging for more informations about the art. His beatboxing career started officially in 2010. Performing in the whole Greece, from city to city and from stage to stage, sharing his love and passion for the music and for the art itself. Starting collaborations with different artists as like: Rappers, Singers, Sopranos, DJs, Drummers, Violinists, Guitarists, B-Boys and other well known Beatboxers and becoming an official member of the Vocal Group “Human” in 2012.